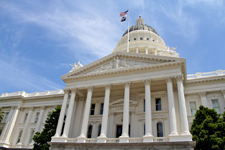 AB 805, effective January 1, 2014, will make existing California law pertaining to Homeowners Associations (“HOAs”) more logical and user-friendly. The bill’s primary effect is (1) to renumber and reorganize the Davis-Stirling Common Interest Development Act (“the Act”), and (2) to make various minor changes to the substantive content the Act. Other than renumbering of the Act from Sections 1350-1378 of the Civil Code to Sections 4000-6150, the bill reorganizes the Act in a more logical manner. It also standardizes terminology, eliminates outdated references to other authorities, groups provisions pertaining to the same subject matter, and reorganizes longer sections into more convenient subparts. While most of the Act’s content will remain the same, this blog post provides an overview of what substantive changes will go into effect as of January 1, 2014. Our HOA lawyers have also published this information in our new library article entitled “The Basics of AB 805,” available for download from our library. In an effort to ease the difficulties faced by HOAs in providing notice to their members, Section 4045 acts to expand the ways in which notice may be given. Section 4045 provides that “general notice” may now be given by (1) first class mail, (2) Email, facsimile or other electronic means upon receipt of written consent, (3) inclusion in a billing statement, newsletter or other document delivered in the same manner, (4) posting in a prominent and pre-designated location accessible to all members and (5) through broadcast media or programming intended for the purpose of distributing information to members. It should be noted, however, that a member may request that all notices be sent by individual delivery. If such a request is made, the HOA is thereafter required to provide notice to that member via first class mail. It is not uncommon for a conflict to exist within a HOA’s governing documents, or even between a HOA’s governing documents and the law. In order to provide HOAs with a simple and concrete means of determining which authority governs, the new Section 4205 sets forth a clear hierarchy system for resolving inconsistencies and conflicts. Under the new law, the hierarchy is as follows: (1) Federal and State law, (2) CC&Rs, (3) Articles of Incorporation, (4) Bylaws, and (5) Operating Rules (i.e. Rules & Regulations). It is important to note, however, that there are still instances where the Civil Code may permit CC&Rs to impose more stringent and/or more relaxed requirements than what may be contained in the Civil Code. The reorganization of the Act will unquestionably result in the presence of countless outdated and incorrect Civil Code references in HOA governing documents. Fortunately, Section 4235 will help to resolve that problem. It grants Boards of Directors the limited authority to amend governing documents to correct statutory references via a Board resolution rather than a vote of the membership. After the ballots pertaining to an election are tallied, the Act provides that the sealed ballots are to remain in the possession of the Inspector of Elections for a specific period. The purpose of this retention period is to ensure that the ballots remain in the hands of a neutral party until the statutory period for challenging the election has expired. Under the new Section 5125, the aforementioned retention period is extended from nine months to a full year. Subject to certain procedural limitations, each member of a HOA is entitled to an opportunity to review “Association records.” The new Section 5200 broadens those inspection rights by expanding the definition of “Association records” to include governing documents. In order to ensure proper documentation of requests and prevent unwarranted litigation, the Act generally requires notices, requests and other related documents to be submitted in writing. The new Section 5260 further reinforces this policy by specifically requiring that the following types of requests be made in writing: (1) requests to change member information in the HOA membership list, (2) requests to add or remove a second address for delivery of individual notices, (3) requests for individual delivery of general notices, (4) requests to opt out of the membership list, (5) requests to receive a full copy of the annual budget or annual policy statement, and (6) requests to receive all reports in full. Section 5300 establishes new financial disclosure requirements by consolidating various disclosures under the term “Annual Budget Report.” The term Annual Budget Report now encompasses (1) a pro forma operating budget, (2) a summary of reserves, (3) a summary of the reserve funding plan, (4) a statement from the Board regarding any decisions to defer maintenance of major components, (5) a statement of anticipated special assessments, (6) a statement of addressing procedures used to calculate reserves, (7) a statement regarding outstanding loans with a term of more than one year, and (8) a summary of the HOA’s insurance policies. Though a HOA’s governing documents may provide for more stringent standards, financial disclosures shall at a minimum meet the standards set forth in Section 5300. Section 5310 consolidates and clarifies the various requirements relating to policy disclosures. Under the new statute HOAs are required to distribute an annual policy statement within 30 to 90 days of the end of its fiscal year setting forth the following information: (1) The name and address of the person designated to receive official communications; (2) A statement explaining that a member may submit a request to have notices sent to up to two different addresses; (3) The location designated for posting of general notices; (4) Notice of right to receive general notices by individual delivery; (5) Notice of right to receive copies of meeting minutes; (6) A statement of assessment collection policies; (7) A statement addressing lien enforcement procedures; (8) A statement of discipline policies and penalties; (9) A summary of dispute resolution procedures; (10) A statement addressing HOA approval requirements for physical changes to property; (11) The mailing address for overnight payment of assessment; (12) Any other information that is required by law or the governing documents. Corporations Code Section 7233 currently provides some guidance in evaluating the validity of HOA contracts, transactions or other dealings involving potential Director conflicts of interest. However, the duty of Directors to recuse themselves from voting on various self-interested issues remains somewhat ambiguous. New Civil Code Section 5350 aims to address this ambiguity by clarifying specific situations where a Director or committee member must abstain from voting on an action. In sum, Directors and committee members must abstain from voting on issues involving (1) their own discipline, (2) assessments against them for damage to common area, (3) whether to accept a payment plan request by that individual, (4) decisions to foreclose on that individual, (5) their own architectural applications, and (6) their own applications for a grant of exclusive use of common area. Existing law requires HOAs to distribute a copy of their fine schedule to all members upon initial adoption and any subsequent revision. Under Section 5850 HOAs will also be required to include a copy of their fine schedule in the HOA’s Annual Policy Statement. Existing law generally requires Boards to provide members with notice and an opportunity to be heard (“due process”) prior to the imposition of fines or penalties. Under Section 5855 the right to notice and a hearing is extended to include situations involving reimbursement assessments for costs incurred by the HOA in repairing damage to common area and facilities caused by a member or the member’s guest or tenant. Although AB 805 acts primarily to reorganize and clarify the existing provisions of the Act, Boards of Directors and industry professionals should become familiar with the substantive changes outlined above. Fortunately, the changes do not go into effect until January 1, 2014 to provide enough time to do so. Contact your HOA’s legal counsel if you have any questions regarding these changes and how they may impact the operation of your community.